Arvada, CO – The City of Arvada Parks Division was honored with the Gold Leaf Award for Arbor Day Activities from the Rocky Mountain Chapter of the International Society of Arboriculture (ISARMC). The Gold Leaf Award acknowledges projects that have had a significant impact upon a community or region, usually over several years, in the promotion of Arbor Day projects and observances. 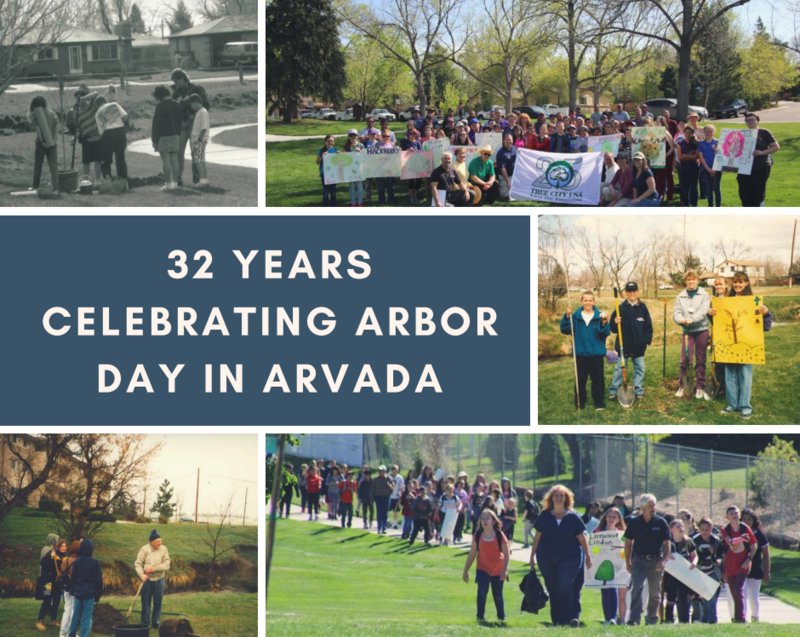 During the winter of 1987, Dudley Weiland, a 6th grade teacher at Peck Elementary School, and Craig Hillegass, an Arvada parks supervisor, met to plan an Arbor Day event for the following spring. Fast forward to 2018, when Peck Elementary and the Arvada Parks Department celebrated their 32nd consecutive Arbor Day tree planting event! Each year, 5th and 6th graders from Peck come together with City Parks employees to plant trees throughout Arvada. Two to three weeks before Arbor Day, forestry staff visit the school to provide information about the trees, and the students make informational posters which they bring to the Arbor Day celebration. There have been some changes over the years. During several events senior citizens from a local retirement community have participated. Various activates have accompanied the events, including environmental games and ice skating. Today, there are Peck Elementary teachers who participated in Arbor Day as students years ago. Some things have remained the same. Each year the Colorado State Forest Service presents the Tree City USA award to Arvada’s Mayor. In the past 32 years, over 1,700 students have planted 470 trees with Arvada park employees in parks across the community, and students go home with their own Arbor Day seedling.